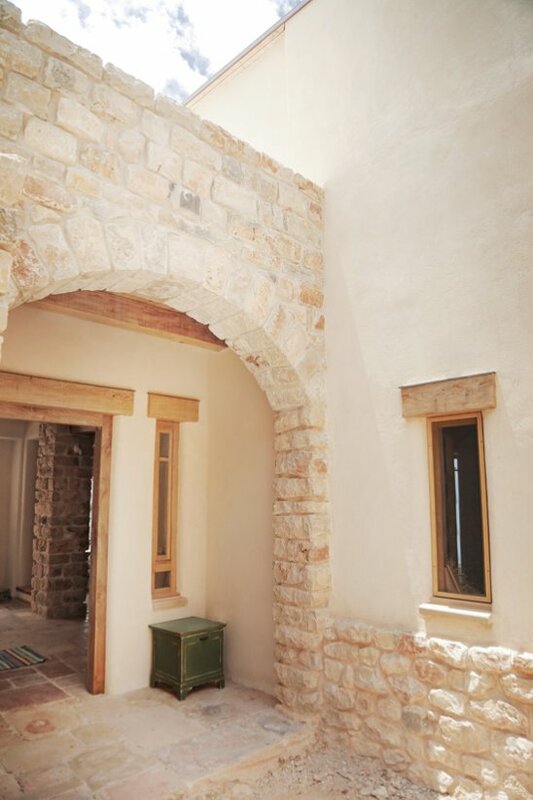 This all-ecological house in Ein Hod incorporates walls of local stone, collected solely from the site's excavation material, for its lower floor and wall pedestals. 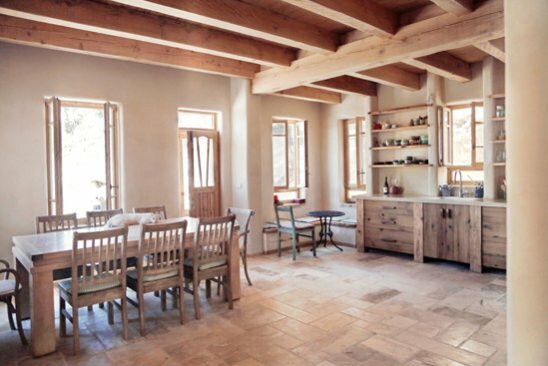 The upper floor walls are cast of hemp and hydraulic lime on a wooden framing. 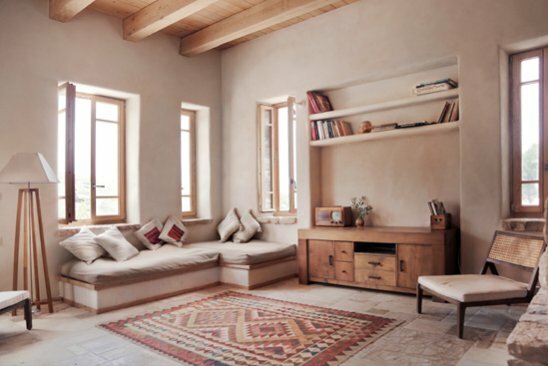 Interior partitioning is of massive rammed earth. 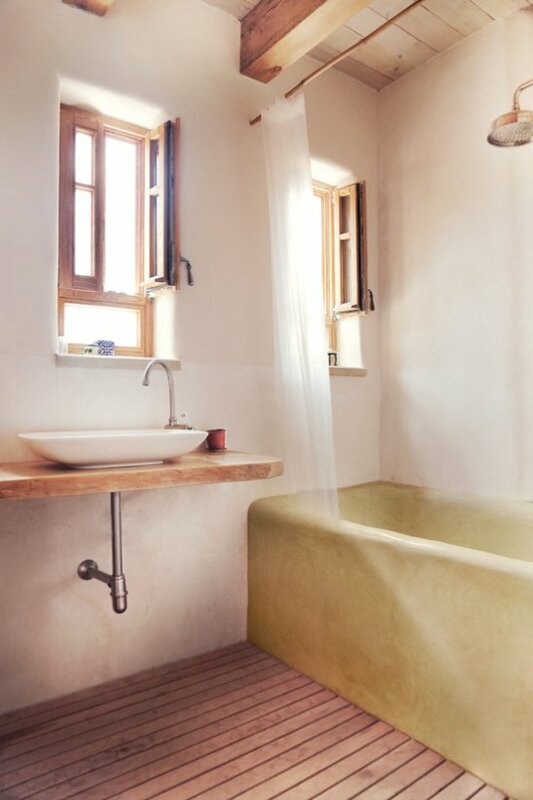 Lime plaster is applied externally while the interior plaster is earth based. 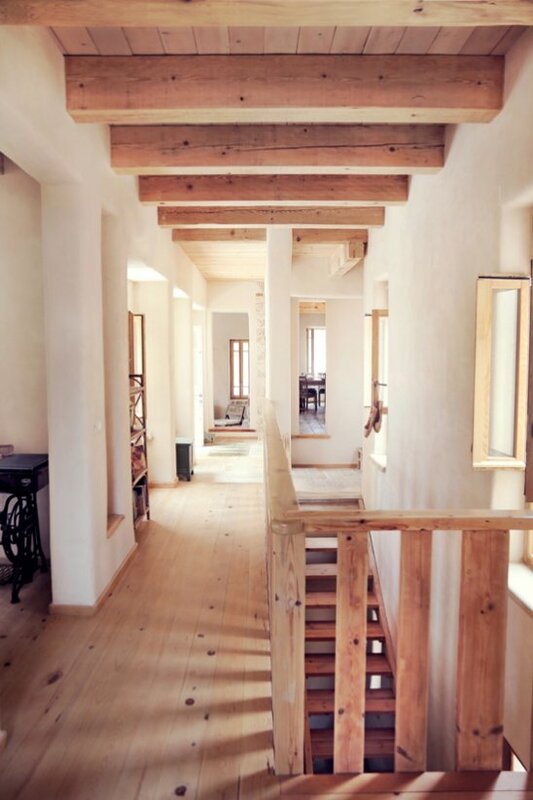 The ceilings are supported by Wood beams. The use of cement is avoided except for the mandatory safety room and foundations. 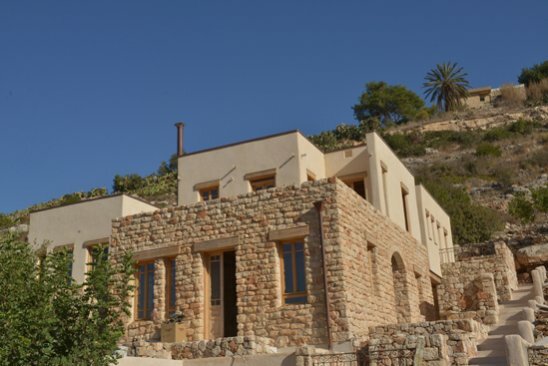 The house is terraced on the southward hillslope of the village. 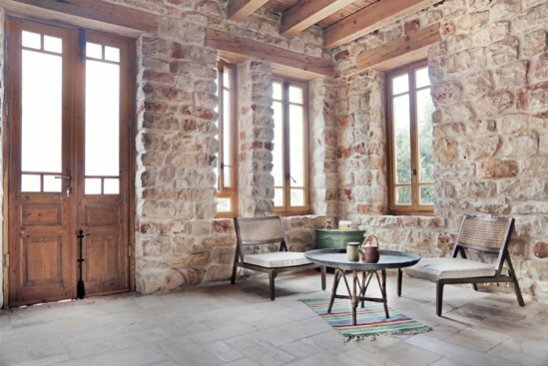 Enveloping a south facing court, it is designed to capture the summer sea breeze and the winter soft sunbeams and thus to allow a moderate climate throughout the year.